My better half gave it to me and I said, “Ah, they’re just trying to sell you something.” She got the last laugh as the “it” was a Google Cardboard headset, free in the Sunday NY Times. For reasons yet explainable I started to assemble the viewer by folding the corrugated cardboard as per the instructions. 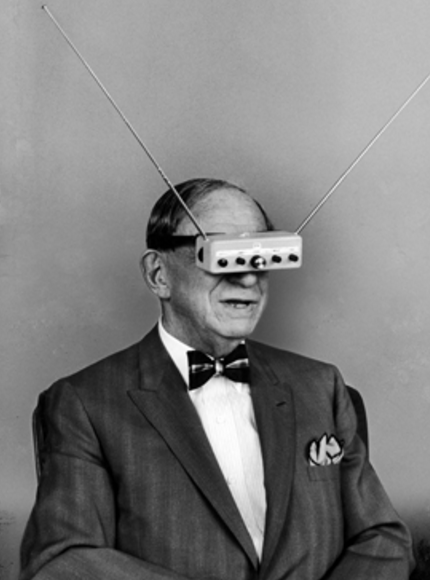 Voila…it looked like an old View Master, which actually got my antennae up. But where’s the old disks? No disks, son. This is Virtual Reality and all you need is your phone. Google Cardboard came to be with its “20% Innovation Time Off” where two enterprising staff members came up with the open source design. Google gives away the design and sells its viewers for cheap with the hopes of advancing the technology for its Android power base (although they now offer it for iOS). The beauty of this new system is its simplicity. You simply slide your smartphone into the viewer and away you go. After adding the Cardboard app (QR on the box) I was off and running. In the old Apple and Windows systems, they gave you Solitare to get you used to the mouse. Cardboard gives you these “walk throughs” that give you the VR feel. “Urban Hike” had me walking around some open park until I hit a stanchion and started to look up. It was the Eiffel Tower and I almost fell over, it was so real. I was there. The Discovery app had the next level of VR, deep sea diving, spacewalking and foraging with lions on the savannah. 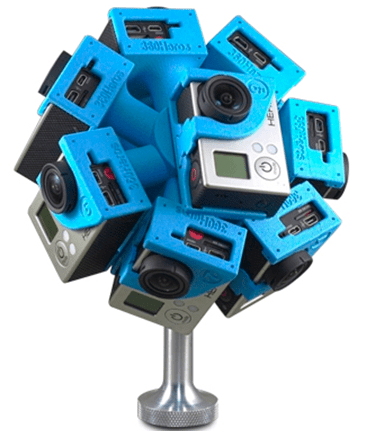 Virtual Reality video is also called “spherical video” with at least 16 cameras positioned around a globe with Go Pro being the camera of choice. Since they are capturing all around (and the editing software makes it seamless) you are immersed. Look up…all the way up. Or down, at the ground. Or spin around (yes, you physically must turn around) to see what that noise was behind you. It is truly mesmerizing. Entertainment is right on board with a new 6 minute trailer for “The Hunger Games” in VR 360. Conan has added his show to the mix. I have to admit that my first glimpse of Virtual Reality a few years ago left me with a negative feeling – all these nerds living life in a headset instead of really experiencing it. Don’t knock it until you’ve tried it, is advice that truly applies here. Get a head piece first. Then Download the Google Cardboard app, align your phone (QR on the cardboard) and remember that the biggest issue with “getting it right” is that your phone has to be centered in the cardboard. So fiddle until it works. Then, game on. 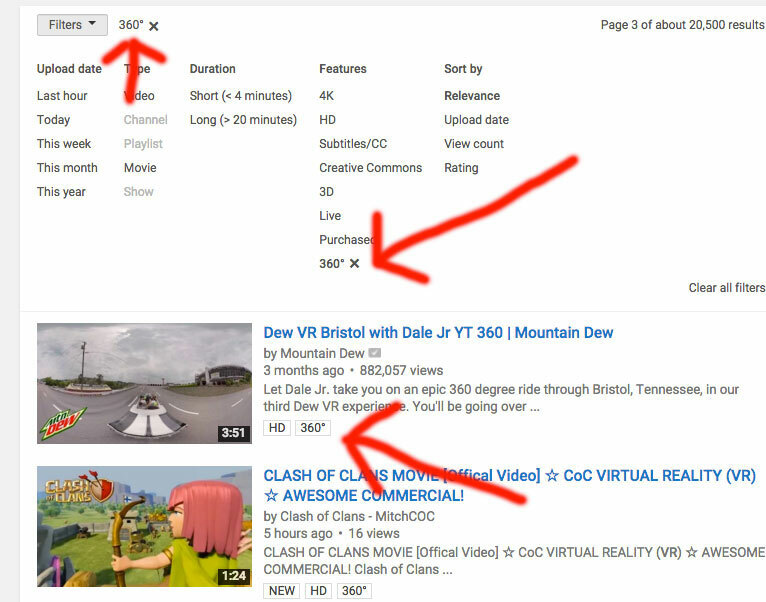 Go to YouTube and type virtual reality, or VR, in the search bar. Click the dropdown menu “Filter” and select “360”. You’re all set to leave the planet. Try a roller coaster, the Mars Rover and Field Museum walk-through, or a wingsuit flight for starters.